Here’s an interesting supply chain problem for you: What do you do when Mother Nature jeopardizes your usual production process? That may sound a little melodramatic, but it is a relevant question for makers of high-end fashion jeans (Why the California Drought Matters to the Fashion Industry, Wall Street Journal, Apr 10). The four-year drought in California is hurting more than just farmers. It is also having a significant impact on the fashion industry and spurring changes in how jeans are made and how they should be laundered. Southern California is estimated to be the world’s largest supplier of so-called premium denim, the $100 to $200-plus-a-pair jeans such as VF Corp.’s 7 for All Mankind, Fast Retailing’s J. Brand and private-equity owned True Religion. Water is a key component in the various steps of the processing and repeated washing with stones, or bleaching and dyeing that create that “distressed” vintage look. Southern California produces 75% of the high-end denim in the U.S. that is sold world-wide, Mr. Blank said. 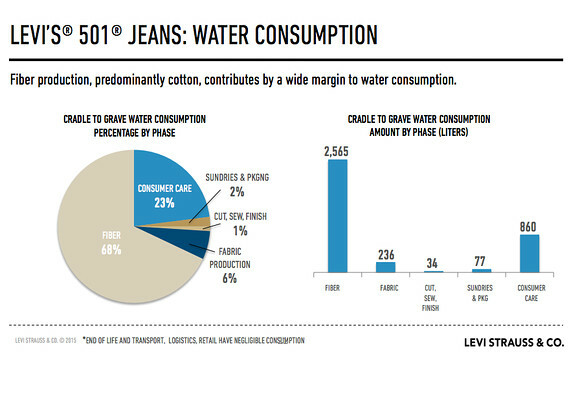 This data from Levi’s highlights the water usage in question. Unsurprisingly, actually growing cotton and consumers washing their clothes accounts for most of the water usage but steps the jeans maker control (e.g., cut, sew and finish) still uses a large amount of water. So what can a fashion label do? Fast Company named American Giant one of its most innovative companies of 2015 (American Giant Guns For Gap By Doubling Down On The USA, March 2015). American Giant is purveyor of T-shirts, sweatshirts, and (most famously) hoodies. We have posted about them several times before. Part of American Giant’s pitch is that they make everything in, well, America. They cut and sew all of their items in facilities in California and North Carolina. This TechCrunch video offers a tour of their Brisbane, CA, facility. 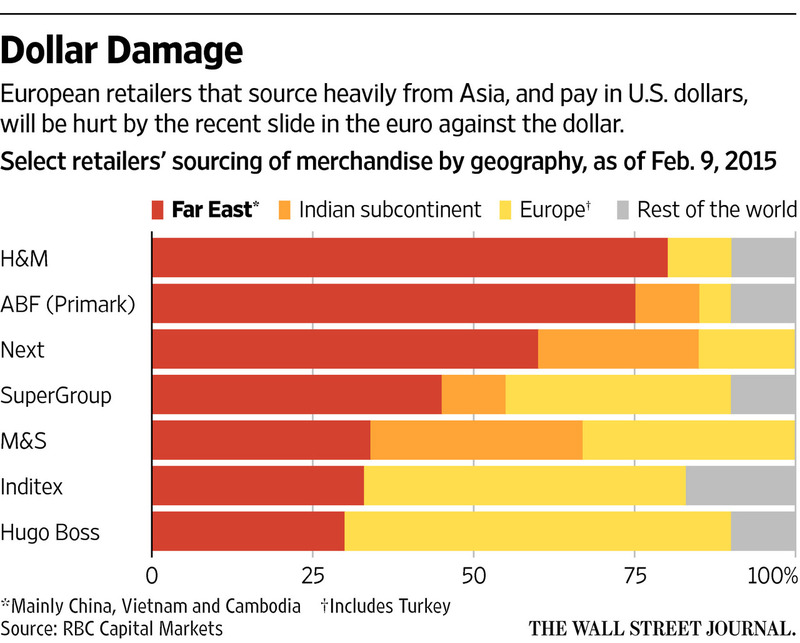 Assembling garments in the US roughly triples the labor costs. These are partially offset by lower duties and logistic costs, but they remain the primary reason why a US-made costs about 20% more than an Asian one. How are West Coast port problems affecting supply chains?